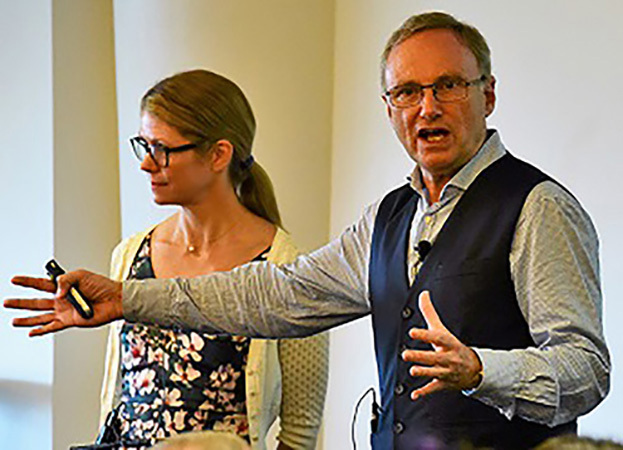 Course materials are presented, using a combination of didactic teaching, taped demonstrations from real life clinical sessions, case studies, and question time. 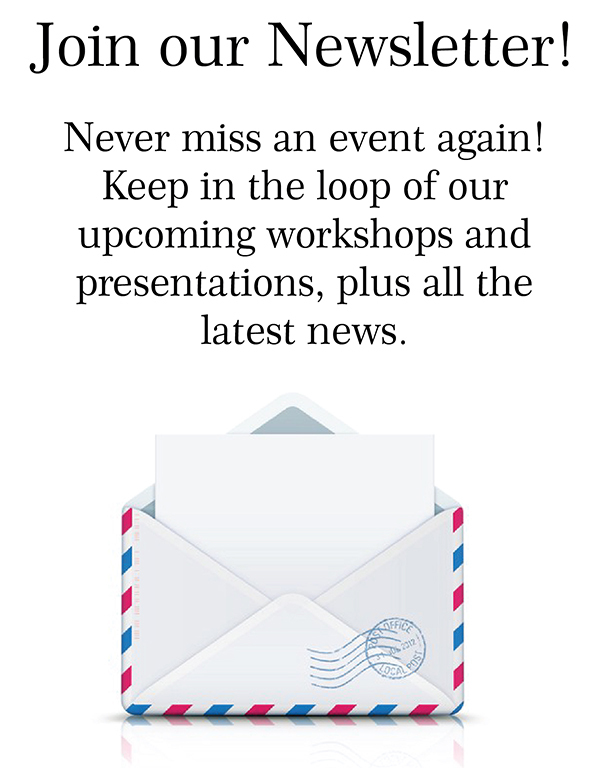 Each day is a stand-alone workshop, and participants may choose either one or both workshops. Designing/conducting a diagnostic assessment for a child or adolescent who may have autism (levels 1 and 2), comorbidity and differential diagnoses, screening/diagnostic tools, report preparation, designing a treatment plan, and sharing results with families and children/adolescents. 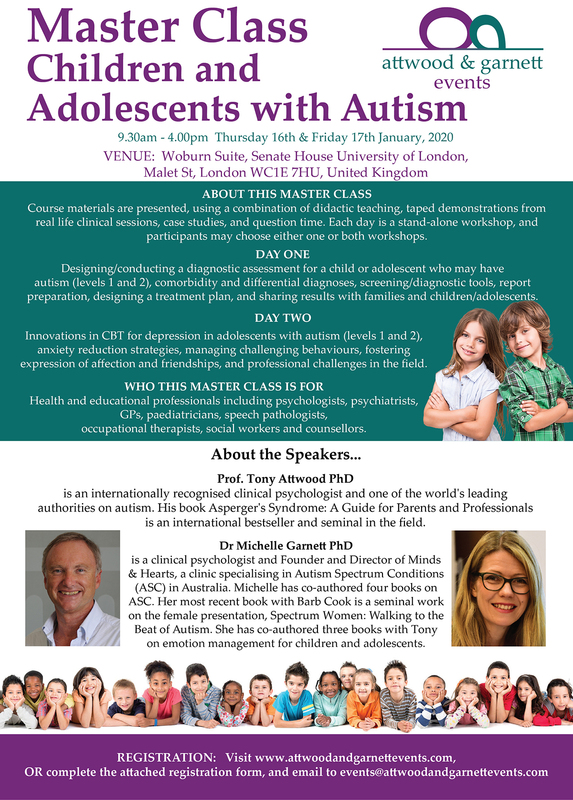 Innovations in CBT for depression in adolescents with autism (levels 1 and 2), anxiety reduction strategies, managing challenging behaviours, fostering expression of affection and friendships, and professional challenges in the field. 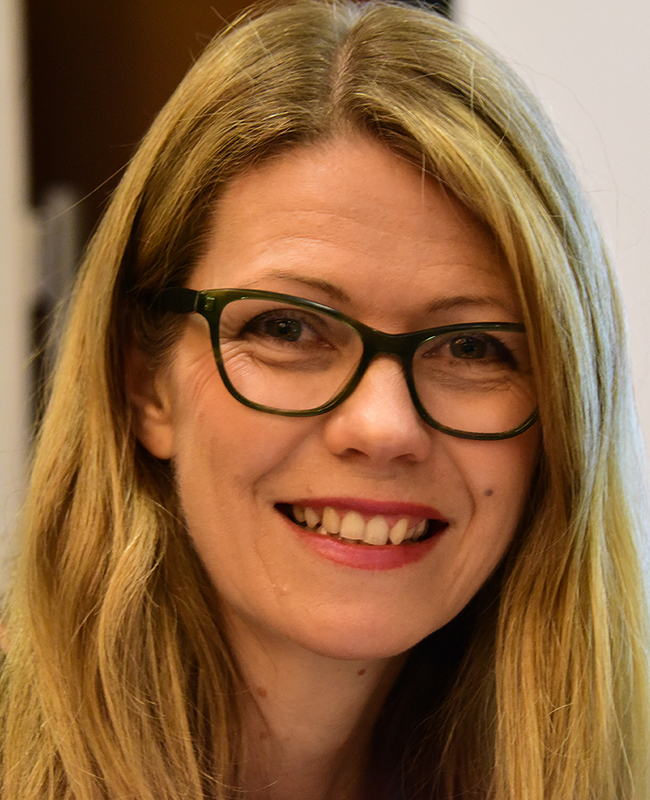 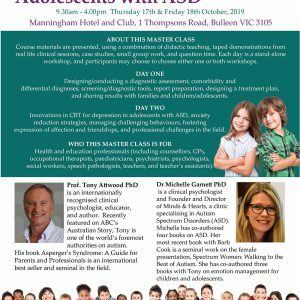 Health and educational professionals including psychologists, psychiatrists, GPs, paediatricians, speech pathologists, occupational therapists, social workers and counsellors. 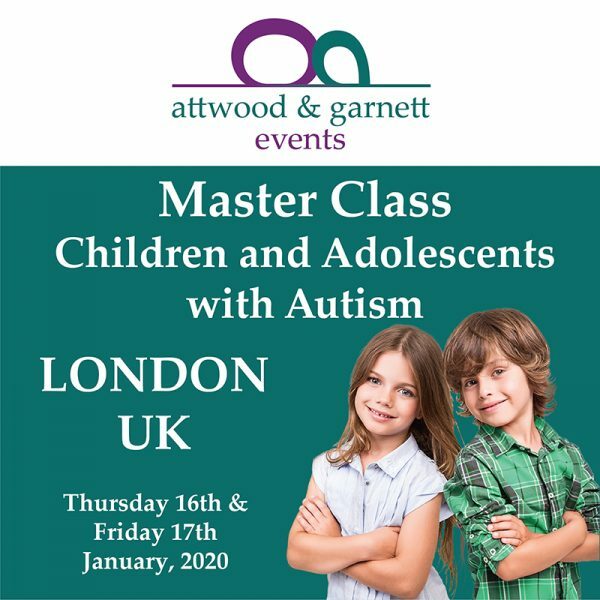 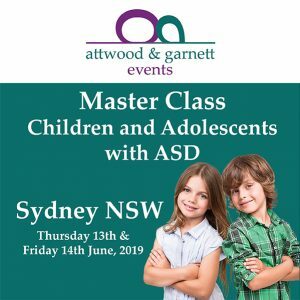 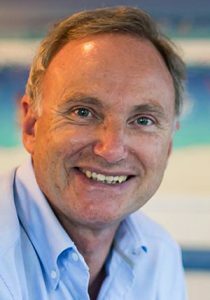 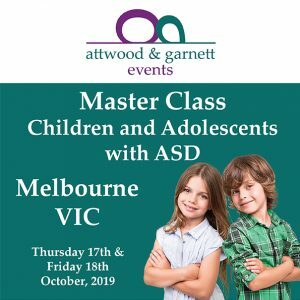 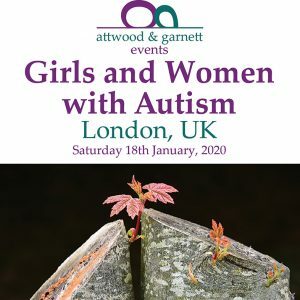 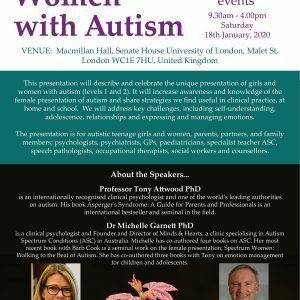 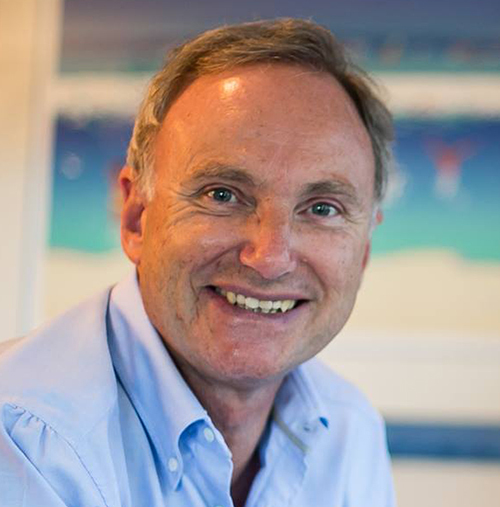 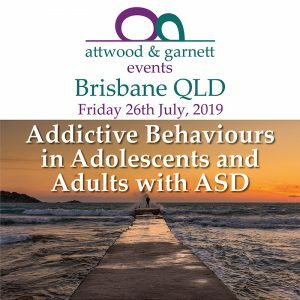 To book for the THREE DAY EVENT SPECIAL – Girls and Women with Autism and 2 Day Master Class: Children and Adolescents with Autism Thursday 16th, Friday 17th & Saturday 18th January, 2020, please select the 3 DAY option from the dropdown box below.